Announcing Our Knitting Oscar Winners! 10 Photos Only Knitters Would Understand! Free Chunky Aran Sock Pattern! Exclusive Interview with Olympic Knitter Lizzy Yarnold! Bet we can guess who taught you to knit! Is Male Knitting the New Yoga? Knit as a Random Act of Kindness! Two amazing exclusive patterns from the Burgin Twins! We’re excited to introduce two beautiful patterns from twin designers Kiyomi and Sachiko Burgin, EXCLUSIVELY available on LoveKnitting.com for two months! Your True Woolentine? 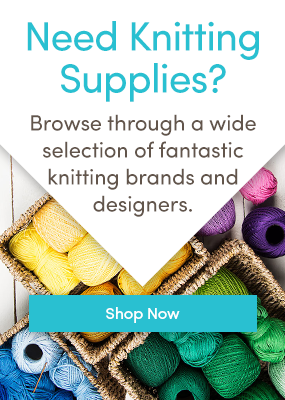 Meet Paintbox Yarns Wool Mix, and Win 10 Free Balls!